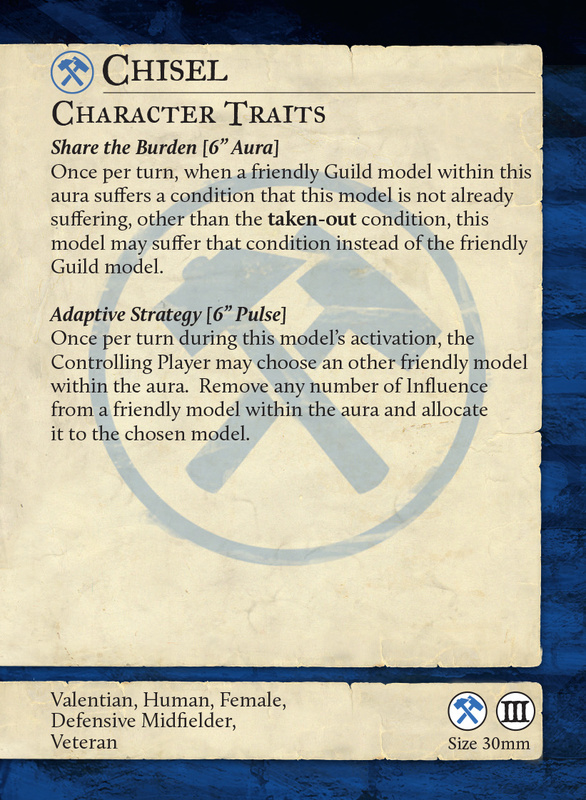 As the players in Guild Ball grow, they change (as we all do). Their careers go through different phases. That's where the Veteran versions come in. The player has seen some stuff, and they're now focused on new aspects of the play and themselves. In today's preview, we get a look at Chisel. A bit of a wild-child, going out and just stabbing anyone she could, she's mellowed over the years and is now more team-focused. Hi there friends, following on from our look at Veteran Sakana last week, we’re back with a glimpse at another of the models in the Faithful box today. If you missed the Veteran Sakana reveal, check it out here. This week we’re looking at a player who’s had quite the Guild Ball journey. Starting as a devoted sportswoman, she took inspiration from Hammer’s rage filled playstyle, and let her anger control her on the pitch. However, she was left scarred and wounded by Grange in the final against the Farmer’s Guild, and realised that Hammer’s leadership style has...a few flaws. 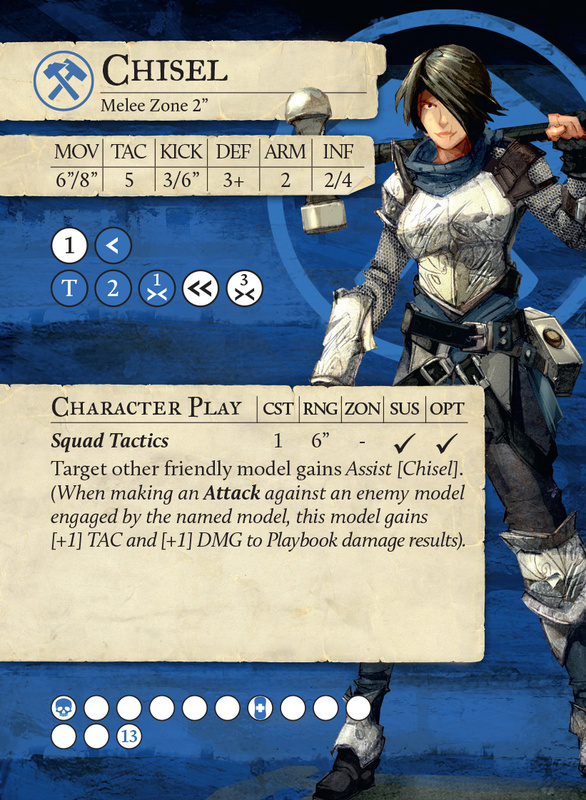 Taking inspiration from Honour’s more tactical, cohesive play, Chisel has become The Redeemed, and has found herself a new role within her Guild, one where she focuses much more on squad tactics and supporting her team.